Now available as an electronic Kindle e-Book edition! Click the link at the bottom of this page. Format: 5.4 x 7.5 inches, 84 pages. The intent for these “Suggested Prayers” is to provide personal, family, and now – congregational – prayers that are appropriate for Gentiles who follow the Noahide Code. As Noahide communities are growing and organizing around the world, some have been establishing places and times for congregational prayers. We hope that this publication will be a useful guide, and the expanded selection of Psalms and verses from the Hebrew Bible is offered as a resource for prayers and praises to G-d. May this bring each participant to a closer, more personal relationship with the Holy One, blessed be He. 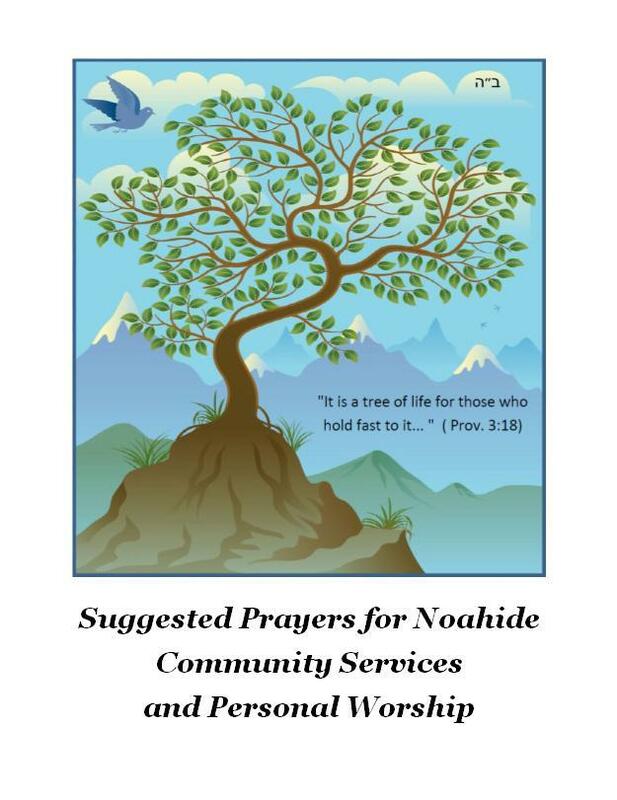 This booklet draws upon the traditional Jewish liturgy (the Orthodox Siddur) to provide guidance for orderly prayers for Noahide synagogues and prayer groups. Wherever appropriate we have used this, while also integrating it with the daily prayers for Noahides that have been recommended by Rabbi Moshe Weiner, the overseeing Rabbi of Ask Noah International, and Rabbi J. Immanuel Schochet o.b.m., as published in the booklet “Prayers, Blessings, Principles of Faith, and Divine Service for Noahides,” Fifth Edition, and in the book “The Divine Code,” Second Edition, by Rabbi Moshe Weiner. Care has been taken that the prayers included here do not encroach on the spiritual heritage of the Jewish people, and there is no attempt made to establish additional obligations for Gentiles beyond the Noahide Code.